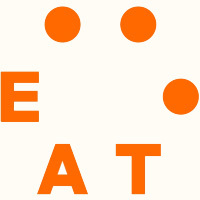 The EAT-Lancet Commission, co-chaired by Walter Willett and Johan Rockström, brought together 19 Commissioners and 18 co-authors from 16 countries in various fields including human health, agriculture, political science and environmental sustainability. Read article "Prof. Walter Willett MD"
Read article "Prof. Johan Rockström PhD"
Read article "Prof. Tim Lang PhD"
Read article "Dr. Sonja Vermeulen PhD"
Read article "Dr. Tara Garnett PhD"
Read article "Dr. David Tilman PhD"
Read article "Dr. Jessica Fanzo PhD"
Read article "Prof. Corinna Hawkes PhD"
Read article "Dr. Rami Zurayk PhD"
Read article "Dr. Juan A. Rivera PhD"
Read article "Dr. Lindiwe Majele Sibanda PhD"
Read article "Dr. Rina Agustina MD"
Read article "Dr. Francesco Branca MD"
Read article "Dr. Anna Lartey PhD"
Read article "Dr. Shenggen Fan PhD"
Read article "Prof. K. Srinath Reddy DM"
Read article "Dr. Sunita Narain PhD"
Read article "Dr. Sania Nishtar MD"
Read article "Prof. Christopher J.L. Murray MD"
Read article "Dr. Brent Loken PhD"
Read article "Dr. Marco Springmann PhD"
Read article "Dr. Fabrice DeClerck PhD"
Read article "Dr. Amanda Wood PhD"
Read article "Dr. Malin Jonell PhD"
Read article "Dr. Michael Clark PhD"
Read article "Dr. Line J. Gordon PhD"
Read article "Prof. Wim De Vries PhD"
Read article "Dr. Ashkan Afshin MD"
Read article "Dr. Abhishek Chaudhary PhD"
Read article "Dr. Mario Herrero PhD"
Read article "Dr. Beatrice Crona PhD"
Read article "Dr. Elizabeth Fox PhD"
Read article "Ms. Victoria Bignet MSc"
Read article "Dr. Max Troell PhD"
Read article "Dr. Therese Lindahl PhD"
Read article "Dr. Sudhvir Singh MBChB"
Read article "Dr. Sarah E. Cornell PhD"